Supporting Peace & Healing in Liberia! 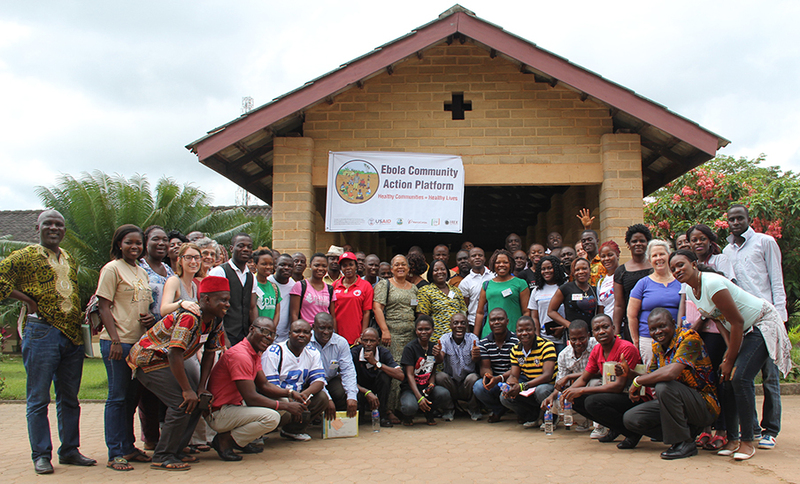 They gathered from around Liberia, coming together to heal, learn, and gain tools to bring back to the 1,500 rural communities they represent. They are leaders from 30 local nonprofit groups, representing remote areas still recovering from decades of civil war and violence, and from the recent devastation of Ebola.One pathway to healing and peace? Enter Hands to Hearts International. "Children everywhere need care, love and affection. This baby massage video will be used in WANEP’s training sessions in helping participant groups to learn basic skills in helping their kids be loved and show similar love to others, and grow healthy in a peaceful environment to become future leaders." "Liberia needs this. There is nothing like it here." "This program is very important." "This is a perfect time to introduce these concepts. People are ready to hear them." "We are working with pregnant women We need to introduce this information to them and then work with them after delivery on these things." "Post Ebola there are many orphanages and many families with orphaned children." With your help, Hands to Hearts is playing a part in reducing the culture of violence in this beautiful country and helping restore the peaceful society Liberians deserve. Next time, updates from our Hands to Hearts program roll out in Haiti! Hands to Hearts just celebrated its 11th birthday and one year anniversary as a program of our new parent organization, Thrive Networks! HHI’s founder, Laura Peterson, was recently featured as an inspirational activist in Muse Magazine. Check out her very candid and personal interview where she talks about who inspires her, what she fears most, and her greatest life lesson. Have you seen HHI’s TEDx talk? What are you waiting for?!?! Click here for "Love, a Low-tech Solution." Not interested in email updates? Unsubscribe from this list. To ensure delivery to your inbox, please add info@handstohearts.org to your address book.